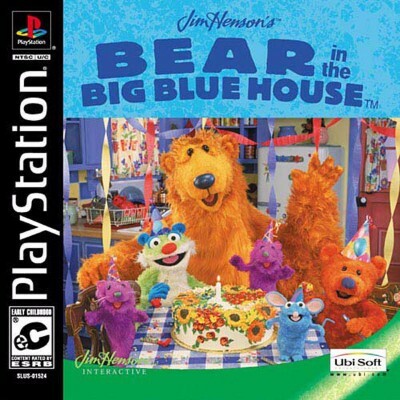 BEAR IN THE BIG BLUE HOUSE PS1 NTSC U/C ? ?AUSSIE SELLER?? NO FRONT COVER ART !!! Jim Hensons Bear in the Big Blue House Sony PlayStation - PS1 Complete - Works!